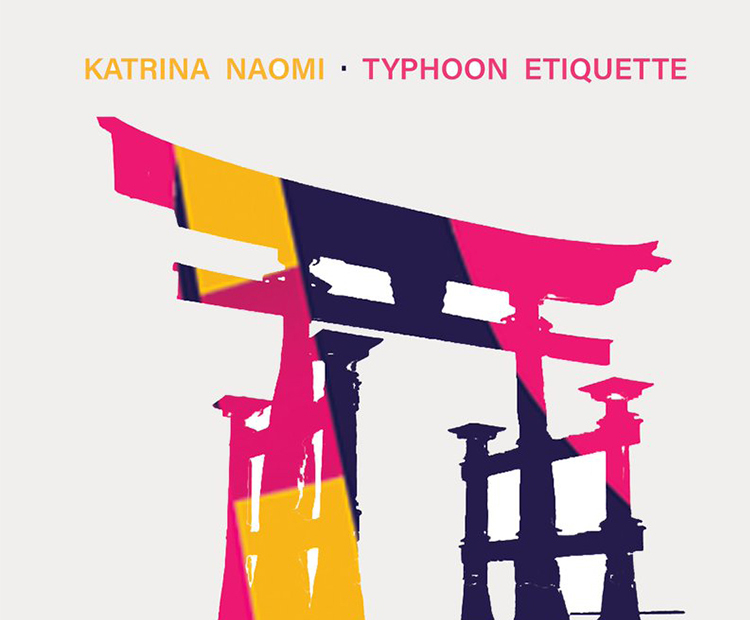 We're pleased to review an advance copy of Katrina Naomi's forthcoming collection Typhoon Etiquette. We also caught up with Katrina to find out more about it. Here at Literature Works we are interested in place. We think there is a poetry to writing about place that can really evoke a sense of it. So, when we received the opportunity to review a new collection of poetry about a place, we couldn’t wait to get started. Typhoon Etiquette is the forthcoming new collection from Penzance based poet Katrina Naomi. Written as part of a project in Japan, the sense of the country: its landscape, its people, its culture is strikingly clear throughout. This is true not only of the poems’ subject matter, but also in their layout, their structure and form. 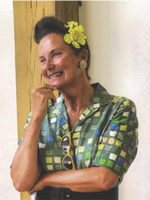 There is a truly unique style here which builds throughout the collection, making the reader feel as if they are going on the journey that is clearly taking place in the collection. Alongside the country which bustles with life in this collection there is a clear and resounding sense of the poet’s voice here and the endearing dialogue that seems to happen between the voice and the reader makes this collection truly special. Bold in form and simultaneously charming, thought provoking and humorous, this collection comes highly recommended. We definitely think that etiquette dictates that you should all grab yourselves a copy! Typhoon Etiquette will be available from 18th April, published by Verve Poetry Press. Typhoon Etiquette is a collection written as part of a special project and trip to Japan. Can you tell us a bit about how it came about and what motivated it? Well I’d always wanted to go to Japan, ever since I did a school project on the country because I liked the design of the flag. I travelled to Japan at the end of 2017, for six weeks, to work on a project where I walked in the poet Bashō’s footsteps, and then spent time in a small city, Kofu. I wanted to see rural and urban Japan and to write in response to those contrasts. I think this was also to do with me having moved from London to Cornwall – I’m interested in that urban/rural split in my own life. I also met and interviewed several Japanese poets, visiting Kyoto and Tokyo. It was amazing to meet Hiromi Itō and to see her perform, I really like her work. I was attached to the Yamanashi Prefectural University in Kofu, where I attended – and also ran – poetry workshops, and I took part in several readings. I’ll never forget having my poetry translated and then interpreted into Japanese. And with the help of Professor Michiyo Takano, I also translated several haiku poets’ work – some of these appear in Typhoon Etiquette. I loved Japan. It has an overriding sense of beauty about it. I’d love to go back. Many of the poems contained within the collection seem to strike a personal or reflective chord. Was this at all influenced by your trip and how did your approach to the poems here differ to previous collections? My work is often quite personal. I had no idea how going to Japan would impact on my poetry. I decided to write every day, to write in response to Japanese poetry, to the people I met and to the experiences that I had. Walking and people always play a big role in my writing. I often write in response to new relationships and conversations, and to new situations. It’s hard to know how Typhoon Etiquette differs from other collections. I have previously published collections in response to a theme – such as the Suffragettes and the Brontës. I’ve never previously written a collection in response to a whole country. I allowed myself to respond to anything that excited me. For example, I found a real love of sumo, which I certainly hadn’t expected. Visiting Japan was a tremendous experience and I hope the poems reflect that. What would you say are the key benefits of spending time writing and working in another country for a poet? Any experience where you are taken out of your usual environment, especially if you are spending long periods of time alone, is going to be good for your writing. You are thrown back on yourself and you have to dig quite deep. There was a lot that I couldn’t understand. I often felt like a child, reliant on other people. I often had to place my trust in strangers. And while this could be difficult, it was rewarding too. There was so much that was new. I love writing in response to the new. Japanese culture could be very, very different to what I’ve grown up with. The people were wonderful. I had some great conversations with other poets about what poetry means in the Japanese context. It was brilliant to have some of my cherished ideas spun on their heads. And I never thought I would experience a typhoon – we have some pretty bad storms in Cornwall – but a typhoon is something else. And this led to the title poem ‘Typhoon Etiquette’. The collection is very expressive and it would be great to hear these poems read aloud. Where can people catch you this season? You live and write in the south west. What does a writing day in the region look like for you? I live in Penzance. I usually answer any urgent emails first thing, then I read poetry to clear my head and to get my creative brain fizzing, and then I write. I might write at home, in a café, a library or outdoors. If I haven’t been walking in the morning, then I’ll have a quick walk after lunch or I might go to an art gallery. In the afternoon, I usually edit, unless I’m working on a commission, or a project. And if I’ve got a reading that night, or I’m running a workshop the next day – I’m preparing a series of writing workshops for visual artists with Cultivator at the moment – then I’ll need to prepare for that. There’s always a load of emails to catch up on – that’s the only part of the day I don’t like. But currently my focus is on editing as I’m finalising my next full collection, which is due out from Seren next year. It’s almost ready. It needs to go to my editor by the end of April. So it’s a busy time. Still, I make sure I walk or swim in the sea, or go to the gym – this really refreshes me. And unless I’m performing somewhere, I try not to work in the evening. Tonight I’m going for a drink and to see a film with some friends. It’s important to have some time out and I love other art forms, they always inspire me. If you could offer one tip to poets seeking funding for a project such as your trip to Japan, what would it be? Give yourself longer to plan than you think you’ll need. Don’t rush it. Putting in for an Arts Council grant is a hell of a lot of work. But if you’re lucky – as I was – then it can open up the world for you, literally. And good luck.